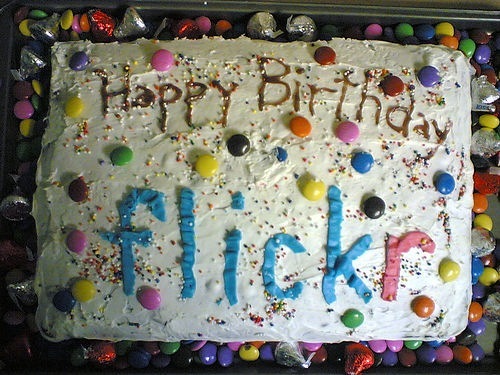 Happy Birthday Flickr. You Are 6 Years Old Now. Lets all greet Flickr on it’s 6 birthday. Happy Birthday to you Flickr. It was on the same day 6 years ago Flickr was born at eTech in San Diego. An year after it’s launch Yahoo acquired Flickr and it is the most successful acquisition Yahoo ever made. Since the inception, Flickr remained as the most popular social website for photo sharing. More than 4 billions of photographs are uploaded to Flick so far and every days thousands of new photographs are added by users across the globe.